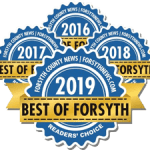 In business since 2009, Hopewell Roofing & Restoration is a dependable Johns Creek roofing company. Experienced in residential and commercial roof replacement and repair, we’re your one-stop shop for keeping your home secure. Beginning contractors offer the best roof replacement and repair specials. It’s what they don’t provide that adds to your bottom line. From estimates to new roof installations, there’s no replacement for expertise. Our owner and founder Andy Morrison worked in the roofing industry for many years before starting his own business. First as a superintendent for a home builder and then as a roofing sales professional, he learned the best methods for installation and presentation. Hire Hopewell Roofing when you want the sturdiest, most impressive job available. Property owners in the area have a major resource in Hopewell Roofing. Not only do we supply our customers with industry-leading GAF roofing materials, but we also achieved GAF Master Elite Certification. It’s their highest distinction, reserved for companies with a focus on training, professionalism and outstanding results. There’s a reason only two percent of suppliers reach it. Independent contractors and subcontractors hired by other established businesses might not have the basics needed to protect your home during a roof repair. Make sure whoever you work with has a general liability policy capable of covering accidental damage, as well as workman’s compensation coverage to protect you from a lawsuit in case one of their employees gets hurt on the job. All you have to do is ask at Hopewell Roofing, and you can look over our policies for yourself. Replacing a roof is one of the most expensive home repairs you’ll ever make. Get every benefit possible by working with an experienced residential and commercial roofing company. A bad installation will lead to early wear on your shingles, putting the look and integrity of your property at risk. 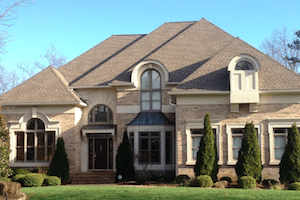 Need to hire a high-performing Johns Creek roofing company? Get in touch with Hopewell Roofing & Restoration today.